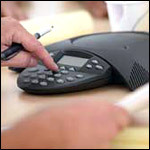 Parallel Technologies offers a wide selection of business phone systems from the popular manufactures such as Avaya, Nortel, Toshiba and Panasonic. We also carry conference phones from Polycom and ClearOne as well as a large inventory of phone headsets from GN Netcom, Plantronics, Sennheiser and more! Parallel Technologies also provides telecommunications services for a wide variety of clients. In addition to complete Phone Systems, we offer Phone Headsets from leading manufactures like GN Netcom, Platronics, and Sennheiser. We do complete repairs and refurbishing; deep cleaning inside and outside of phone, add new line and phone cords as well as paper desis & plastic overlays. Only $35 a unit, with 48 hours turnaround! We also offer additional services, such as Business Phone Repair, Telecom Carrier Services, Predictive Dialer 6 Decimal Long Distance Plane. Looking to get rid of your old phone equipment? We will buy back your excess out of service equipment for top dollar! 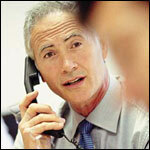 Were confident that we can help solve any of you phone needs, so please give us a call first. 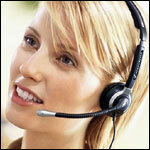 We offer may other additional phone services, and are confident we can help you. Customer Satisfaction is our Top Priority, give us a call and you will see why. Copyright 2007 Parallel Technologies. All rights reserved.